Manufacturers have very specific needs and requirements when it comes to the fabrics and laminates they need for their production processes. We supply a broad range of Twaron® filament-based fabrics and laminates that can add considerable value to products. 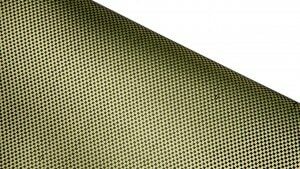 Depending on our customers’ requirements, these fabrics may be woven, scoured, or scoured and Water Repellent Treated (WTR), or produced in the form of ballistic laminates. Contact our experts for more information and tailored advice.